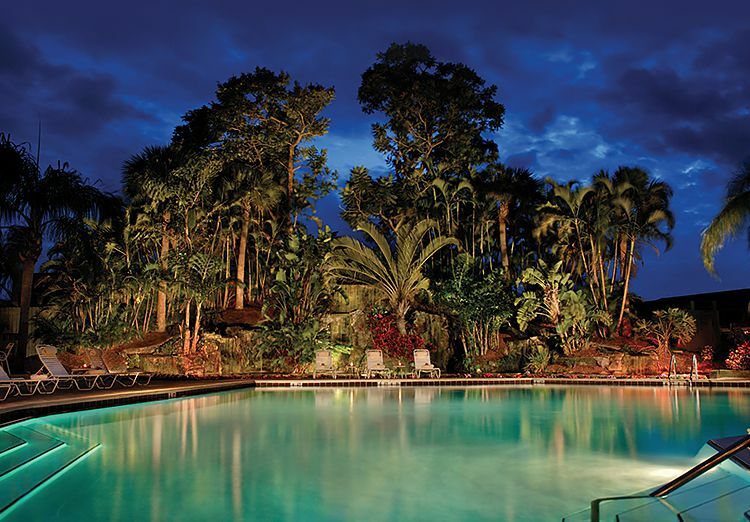 Centrally located in Naples, Florida and secluded on lush, private grounds, Park Shore Resort is the ideal destination for anyone seeking relaxation and comfort. Whether you’re here for a family vacation, a special occasion, or a romantic getaway, we look forward to welcoming you to paradise. For more information, please contact a member of our resesrvations team at (855) 220-8454. 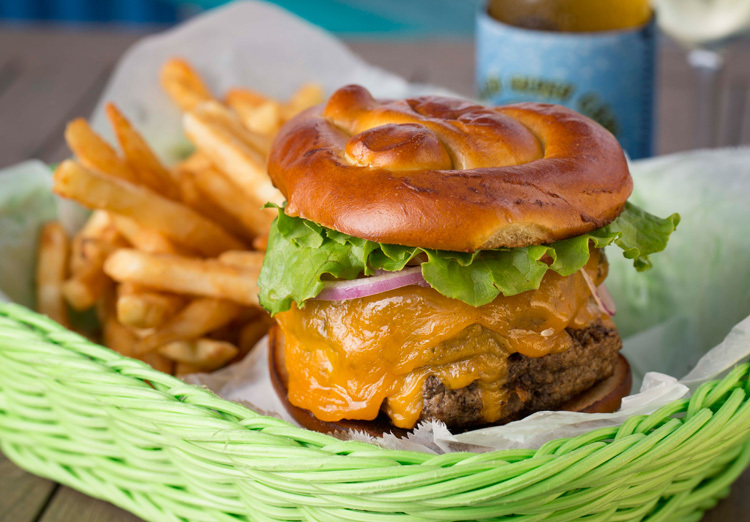 Grab a bite at the "Locally World Famous" Island Gypsy Poolside Cafe, nestled right here in the beautiful Park Shore Resort. Come enjoy a delicious meal, from the freshest seafood available to world-famous carrot cake. Whether you choose to sit indoors or out, you’re sure to enjoy your dinner with a view. Open Daily: 11 a.m. - 9 p.m.
Daily Happy Hour: 3 p.m. – 6 p.m. When you’re not basking in the comfort of your spacious guest suite, be sure to take advantage of our resort’s endless opportunities for recreation. Each of our rooms faces a tranquil scene of tropical vegetation, so you’ll always have a reason to feel relaxed when you stay with us. From the moment you enter our doors, our team of local experts will make every effort to make your stay an unforgettable one. We may seem secluded in our exotic oasis, but Park Shore Resort is nearby to many local attractions for you to enjoy. We’re no average hotel. We’re a home away from home, with everything you need found in the privacy of your own suite.